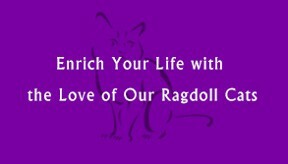 Enjoy the love and affection that only cats can provide with your very own ragdoll kitten from Ahart for Rags in Easton, Pennsylvania. We’re proud to offer kitten sales of some of the most loving, affectionate, and fluffy cats you can find. A ragdoll cat is a playful, blue-eyed breed. I feel like they are the dog of cats. Perfect for people who want dogs but, do not have the time. To truly appreciate their novelty and allure, you have to meet them, but you can see a few of them in our gallery. Find your feline family at Ahart for Rags in Easton, Pennsylvania. 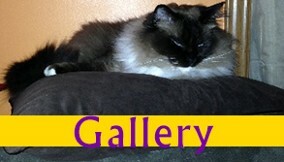 We’re a small ragdoll cat breeder capable of breeding blue, seal, chocolate, and lilac ragdoll cats. We have more than 10 years of experience with these playful, lovable cats. We are located within driving distance of New Jersey, Delaware, and Maryland, just an hour and a half north of Philadelphia. Our cattery is not inspected or endorsed by The International Cat Association, Inc., but our breeding pairs are recognized as ragdoll breeding cats. All of our adults and kittens are registered on TICA as well. 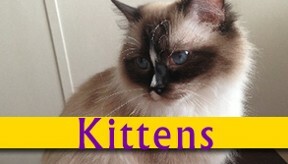 You’ll enjoy years of love, affection, and enjoyment with your new ragdoll kittens. Contact us in Easton, Pennsylvania, to learn more about a new ragdoll cat breeder.